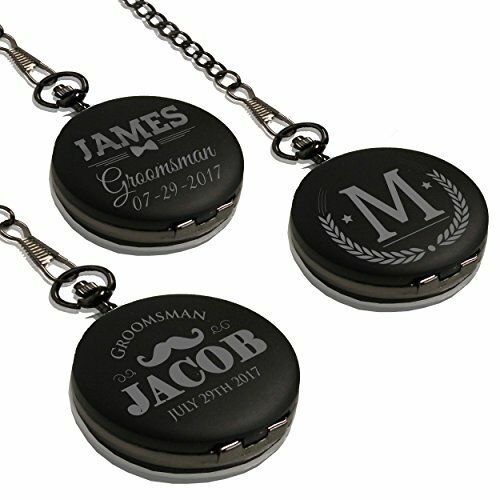 This Personalized Black Matte Pocket Watch is the perfect gift for your groomsmen or any favorite guy in your life. This watch features an attractive gunmetal finish with a beautiful offset black face with white roman numerals. It is securely fastened with a sturdy matching 14" chain.